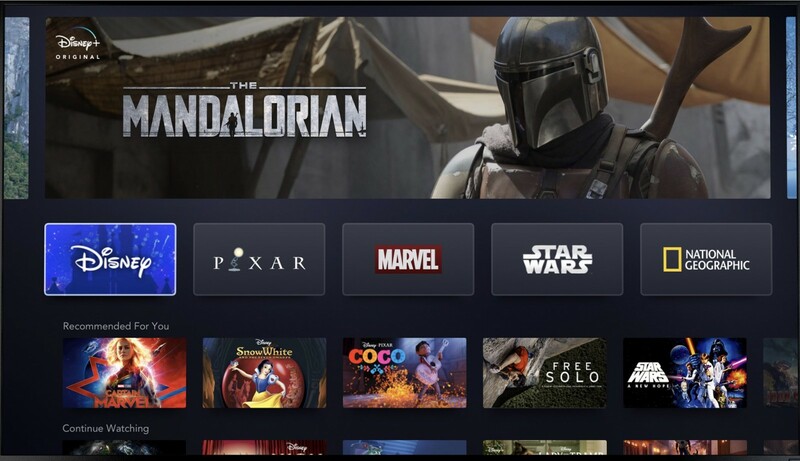 Disney has made the most significant announcement yet on its upcoming Disney+ (pronounced Disney Plus) streaming platform, revealing not only the price of the service but the expected content on launch, with a few more surprises thrown in. Disney used its annual investors’ conference as the perfect launchpad for Disney+, revealing that the service, to launch on November 12 in the United States, will cost $USD6.99 per month. For less than half of what Netflix currently charges for its standard plan, Disney+ will offer more than 500 movies and 7500 episodes of television at launch, with many exclusives that take full advantage of Disney's popular franchises. With content from Pixar, Marvel, Lucasfilm and now Fox, along with content from Disney animation and film, the new platform will also host several original productions from all of its franchises. Original productions have increasingly become the battleground in the streaming wars, with Netflix committing billions in producing them and the other platforms also spending significantly in trying to create unique content for subscribers. Leveraging its powerhouse Marvel franchise, Avengers stars Elizabeth Olsen and Paul Bettany will reprise their roles as Wanda and The Vision in 'WandaVision', Tom Hiddleston in 'Loki', while fellow co-stars Anthony Mackie and Sebastian Stan will star in 'The Falcon and The Winter Soldier'. 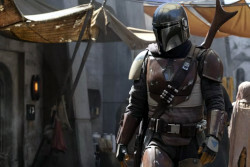 Star Wars fans will have two live-action original series to look forward to, in the form of 'The Mandalorian' (executively produced by Jon Favreau, who is also a writer for the show) and an as yet unnamed series that will see 'Rogue One' star Diego Luna reprise his role as Cassian Andor (with Alan Tudyk returning as sidekick, K-2SO). Pixar content includes every single short produced by the studio, and an exclusive look at behind the scenes of the upcoming 'Frozen 2'. Other announced streaming exclusives including a live-action adaptation of 'Lady and the Tramp', and touting the family-friendly nature of Disney+, family films including 'Noelle' starring Anna Kendrick and Bill Hader, 'Timmy Failure' based on the popular book series and directed by Oscar-winner Tom McCarthy (Spotlight). Disney's acquisition of Fox has also yielded some surprising additions, including every single episode of 'The Simpsons', as well as classic Fox movies such as 'Titanic' and 'The Sound of Music'. Disney+ will also feature more than 250 hours of Nat Geo content, including the exclusive 'The World According to Jeff Goldblum'.